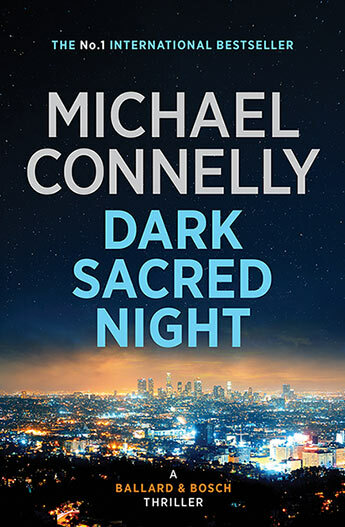 A former police reporter for the Los Angeles Times, Michael Connelly is the international bestselling author of the Harry Bosch thriller series and the legal thriller series featuring Mickey Haller, as well as several stand-alone bestsellers. His most recent #1 bestseller is Dark Sacred Night, in which the legendary Harry Bosch joins forces with Connelly's newest LAPD protagonist, Detective Renee Ballard. Michael Connelly’s books have sold more than seventy-four million copies worldwide. They have been translated into 40 languages and have won awards all over the world, including the Edgar and Anthony Awards. Michael Connelly has also been awarded the 2018 CWA Diamond Dagger, the highest honour in British crime writing. Connelly is the executive producer of the successful TV series, Bosch, starring Titus Welliver. Bosch Season 4 is now available on SBS in Australia, with Season 5 to screen in 2019 and Season 6 also going into production. Michael Connelly’s new true crime podcast, Murder Book, will premiere on 28 January, 2019. Michael Connelly spends his time in California and Florida.